This grease free and fortified cream provides nourishing and conditioning benefits. 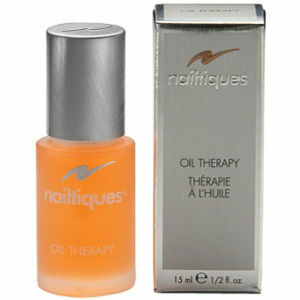 Nailtiques Nail Moisturiser restores moisture and promotes your nails' flexibility. It is enriched with soluble Collagen, Jojoba and Aloe Vera, which condition and nourish your hands and nails. Excellent product. Highly recommended, non greasy so can be used at bedtime with no fear of marking bedclothes. I have used this product for almost two weeks in conjunction with Nailtiques Formula 2 kit, I have noticed a huge improvement in the condition of my nails which were in a sorry state. Would definitely purchase again although I think it will last a good while as it I almost a 30g pot! Thanks also for fantastic speedy delivery service. Will continue to order from Look Fanastic and that will be many orders as I am beauty mad and love trying different products to maintain good beauty regime! !